Iowa Fruit and Vegetable convention. On the way home from Wisc. Roger stopped just north of Des Moines, Ia. and attended the Iowa Fruit and Vegetable convention. On this video clip Dave Rowen explains what a great job his Spray Innovations sprayer does spraying his vineyard and high tunnel green houses. He explained how the air blast sprayer sprays fungicides on all sides of his grapevines. Roger’s booth at the Wisconsin Fresh Fruit and Vegetable Conference in Wisconsin Dells This trade show and conference attracted apple growers, berry farmers, winery and vineyard owners, and fresh market vegetable growers and sellers from Wisconsin and surround states. Heartland Wine and Grape Conference in Overland Park, Kansas There were many new vineyard growers this year. 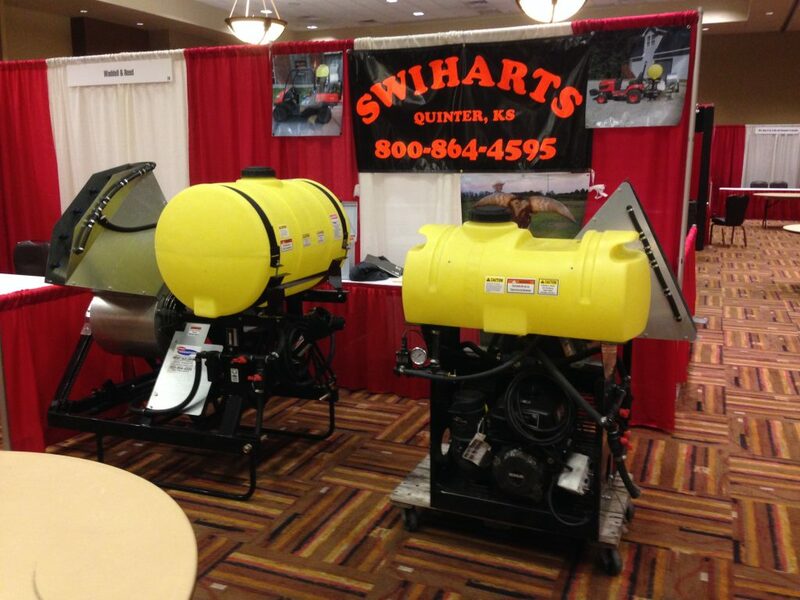 Roger had a chance to chat with several customers already using a Spray Innovations mist sprayer in their vineyards.